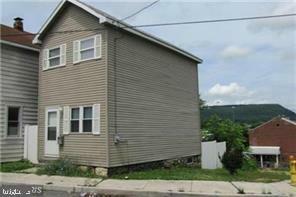 Completely renovated in 2017, this 2 bedroom, 1 bath home brings in $650/mth in rental income. NO SIGN ON PROPERTY PER OWNER REQUEST. THIS PROPERTY IS NOT LISTED WITH SHOWING SERVICE. MINIMUM 24 HOUR NOTICE TO SHOW. CALL LA FOR ALL INFO.